Before the days of gypsum board and drywall, lath and plaster was the material of choice for Canadian wall and ceiling construction. Toronto’s Lime Plaster Company aims to promote the re-introduction of traditional plasterwork into the Canadian consciousness at both the residential and commercial level. Owner and lead plasterer Benjamin Scott learned his trade in Devon, in the southwest of England where the construction industry continues to honour historical building methods. Scott came to Canada not out of career conviction, but curiosity. “After I chose to live here, I decided I would be stubborn and carry on pushing lime and traditional construction skills onto the market,” he says. He first worked in British Columbia, and then established the company in Toronto in 2009. The U.K. lime industry, however, provided a wealth of products, including exterior application lime stucco. The North American market offers a narrower range of material and lime plaster formulations that generally provide lower calcium content than traditional British limes. “If you look hard enough, though, you find what you need,” says Scott, who has sourced an array of serviceable hydraulic and non-hydraulic limes mortars, gypsums and American clay plasters. Wood lath is another matter — the company uses reclaimed lath derived from building demolition projects. The company’s current projects focus on heritage restoration and clients interested in sustainable and green construction. Scott recently completed work on a 3,000-square-foot retail space in Burlington and is pursuing other commercial contracts. Some large residential projects, however, have approached 20,000 square feet. Scott notes that the most important aspect of plastering is the preparation of the substrate. The base material is applied with traditional hawk and trowel. The material bonds better to walls and ceilings if it’s pushed into place than if it’s sprayed. “You get more of a connection with the surface,” he says. “You get a certain bond and adherence created by the impact of the material. Underneath, if applied correctly, they’re essentially soft materials that move with the underlying structure and crack far less than drywall.”. 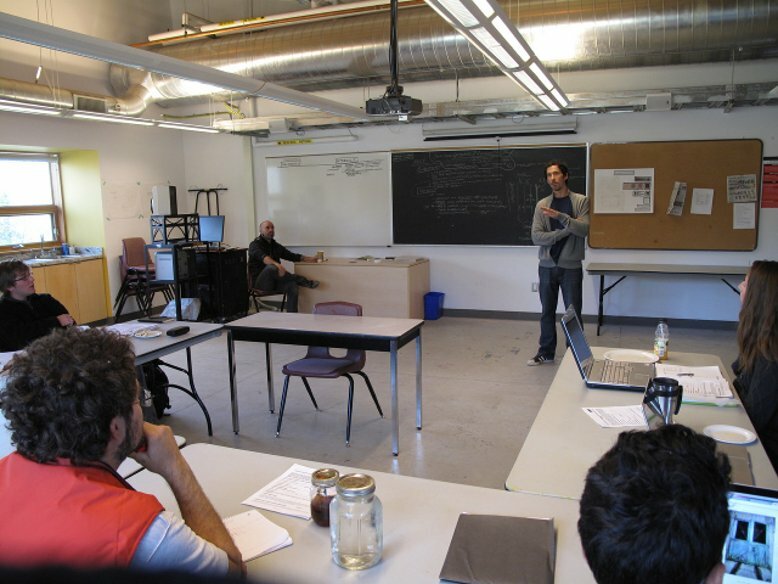 In November of 2010, The Lime Plaster Co. was lucky enough to be asked to give a talk at Fleming College, Haliburton, to the students of the Sustainable Renovations Project, about Lime, Lime Plasters and Lime Mortars. Below is an outline of the course and its aims. The inaugural year of Fleming College’s Sustainable Renovations program finds the class embarking on an ambitious project to renovate the Haliburton Highlands Museum in Haliburton, Ontario. The client, The Municipality of Dysart et al., has outlined a few areas they wish to improve upon in terms of structural, mechanical, and aesthetic changes. The project has a fixed deadline, a fixed budget, and a fixed labourforce, and is in every way conducted as a real world renovation project. The students each have shouldered a mechanical, structural, and administrative task and it is their responsibility to outline a solution, source the necessary materials, connect with applicable tradespeople, and navigate all facets of the client-renovator relationship all while maintaining a focus on sustainability. At every step care is taken to ensure that the solution being proposed is at once appropriate for the site/client, consistent with our sustainable goals and principles, and also an opportunity for the students to learn a new skill or process. 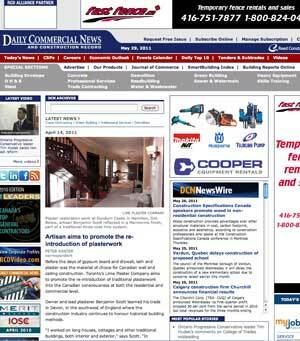 Recent Article about the Healthy Home, American Clay Plaster was applied by the Lime Plaster Company in collaboration with the Greening Homes. A Healthy Home at Downsview Park officially opened its doors to the public. The exhibit, a fresh redesign of popular attraction The Sustainable Condo, showcases eco-friendly technologies available to consumers. It's an example of the modern urban borne planned for Downsview Park, where former military and industrial lands are being transformed into a park surrounded by a sustainable community. Organizers say: "We're ven excited to partner with industry leaders in sustainability to host the Healthy Home exhibit," said Tony Genco, president and CEO of Downsview Park. ''This exhibit provides a unique glimpse into innovative technologies. practices and lifestyle choices that will help raise environmental awareness while contributing to Downsview Park's green future". A Healthy Home inspires consumers with real-life examples to save energy, limit waste, reduce utility bills, improve indoor air quality and, ultimately. help the environment. "From energy efficient home, heating equipment to stylish sustainable furniture, this exhibit showcases ways to save money and the environment," said Mark Salerno, District Manager Greater Toronto Area, Canada Mortgage and Housing Corporation. Prior to the redesign, more than 175,000 people toured the model home. Now, with enhanced products, additional partners and a new high·traffic location at Downsview Park's Hangar hosting 750,000 guests per year, the number of visits to the revamped home is anticipated to significantly increase. Designed by NlKKA DESIGN and built by Greening Homes Ltd., A Healthy Home will be on display until Dec. 31, 2010. Public tours are available Monday to Friday 6:30p.m. -9p.m., and Saturday and Sunday from noon-3 prn. A Canadian intergenerational housing is among the first three buildings to receive recognition Living Building, considered the ultimate global environmental awareness, beyond LEED, or Passive Architecture 2030. Eco-Sense home in Victoria, BC, presents authentic and aesthetic earth walls (a mixture of sand, clay and straw), two feet thick, large modern rooms with slightly wavy edges and a living roof. Living Building rating by the "petals": the site, water, health, beauty, energy and materials. (The petal "equity" has been added for applicants to come.) Eco-sense recognition was given four out of six petals, and the other two candidates, non-residential buildings in the states of New York and Missouri, have received full certification. For more on this house, see www.eco-sense.ca. Updated: October 14, 2008 2:11 PM “Eco-sense” house in Highlands on track for five-century-plus lifespanWith trowel in hand, Ben Scott makes lime plastering look easy as he layers ochre coloured mud along a cob wall. In Canada, working with earth plasters is something of a lost art, but done right and the “Eco-sense” house in Highlands could survive well beyond its fifth century.“In the U.K., homes with this exact material have been standing 500 to 700 years,” says Scott, a.k.a. “Scotty.” “Lime plaster and cob go hand-in-hand.”The layer of lime plaster is the last major element for what is now Canada’s most prolific “green” house, built by Ann and Gord Baird. At its core, the two-storey cob building is glorified mud on mud. For more on the Baird’s house, see www.eco-sense.ca.